Richard Dinnick is the writer of the Doctor Who: The Twelfth Doctor comic book, published by Titan Comics. 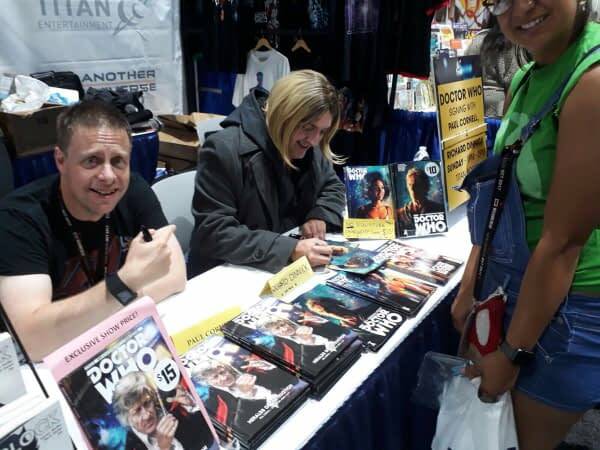 Titan was on hand at San Diego Comic-Con to promote their line of comic books and get con-goers hyped about the news that the 13th Doctor will be played by Jodie Whittaker. The publisher is already planning a series starring that incarnation of the Doctor. And Dinnick was very excited indeed — so much so that he dressed up as the Thirteenth Doctor, as seen on the reveal show from last weekend on BBC1. And he appeared at the Titan Comics booth in costume, and wig. He was then happy to sign comics at Titan Comics’ booth in full cosplay. I’m not entirely sure how to interpret Paul Cornell‘s expression there, as he points towards his co-writer. 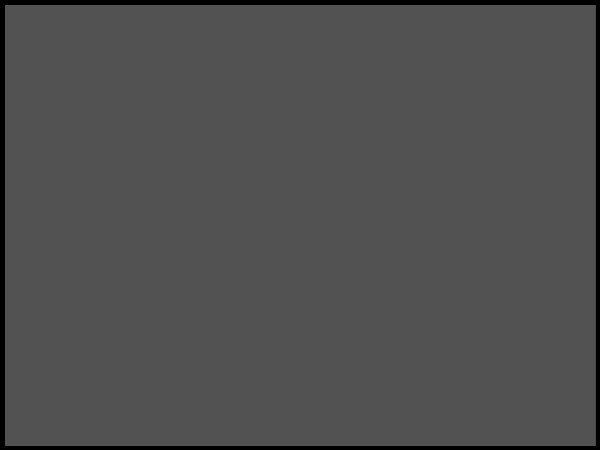 Cornell has written for the Doctor Who TV series, as well as recent Doctor Who comic books. 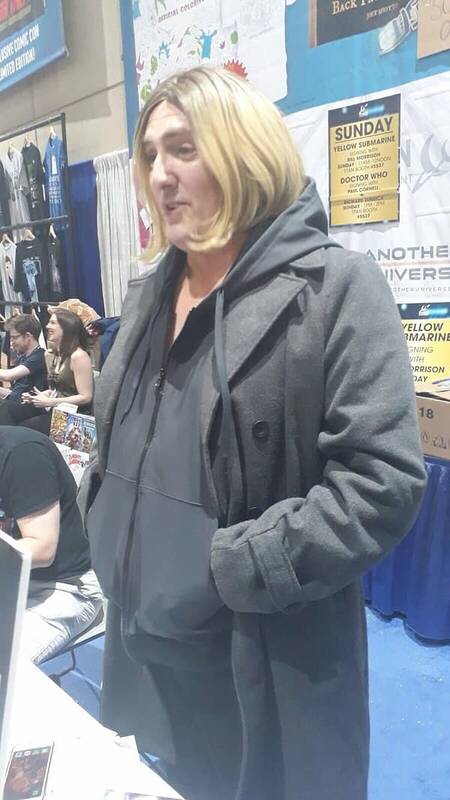 Is this another blow for equality, that the first cosplayer of Jodie Whittaker’s 13th Doctor at San Diego Comic-Con…happens to be male? Sneak Peek Of The Legend Of Korra: Turf Wars Part 1 At SDCC – And Part 2 Announced!